Two of the hallways in the new Y will be named after Kaiser Permanente. 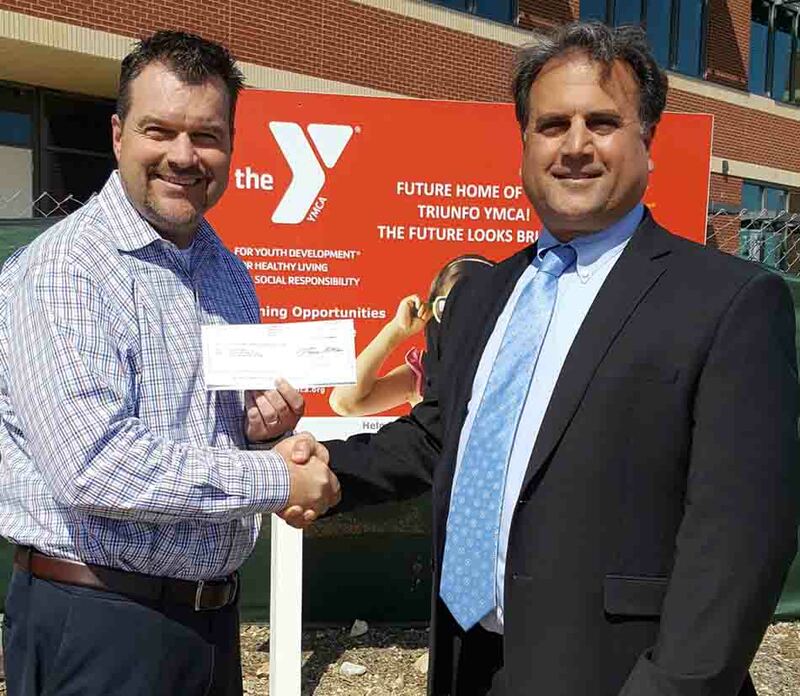 WESTLAKE VILLAGE, Calif. - April 18, 2018 - PRLog -- Kaiser Permanente donated $100,000 to Triunfo YMCA last Friday, April 13 to support the building of the new YMCA, which will be located at Thousand Oaks Boulevard in Westlake Village. "We're so excited to have Kaiser Permanente contribute to the Triunfo YMCA building project," said Ronnie Stone, CEO of the Southeast Ventura County YMCA, which includes the Triunfo YMCA. "Kaiser Permanente's long history of community involvement and commitment to improving the health of its members aligns perfectly with the YMCA's own community and health-centered philosophy." Two of the hallways in the new Y will be named after Kaiser Permanente. "We view these hallways as 'Hallways to Health' that will foster an environment supporting the community's physical, emotional and spiritual well-being," says Ed Essa, Director of Public Affairs at Kaiser Permanente in Woodland Hills and Ventura. "We also look forward to sharing our knowledge and resources with the Y upon completion of the building." The Triunfo Y is set to open in spring 2019. Construction resumes this May. For more information about the Triunfo YMCA building plans, visit www.sevymca.org/triunfo, click on "About" and then "New Facility Information." Kaiser Permanente is committed to helping shape the future of health care. We are recognized as one of America's leading health care providers and not-for-profit health plans. Founded in 1945, Kaiser Permanente has a mission to provide high-quality, affordable health care services and to improve the health of our members and the communities we serve. We currently serve more than 12 million members in eight states and the District of Columbia. Care for members and patients is focused on their total health and guided by their personal Permanente Medical Group physicians, specialists and team of caregivers. Our expert and caring medical teams are empowered and supported by industry-leading technology advances and tools for health promotion, disease prevention, state-of-the-art care delivery and world-class chronic disease management. Kaiser Permanente is dedicated to care innovations, clinical research, health education and the support of community health. For more information, go to: kp.org/share (https://share.kaiserpermanente.org/).